It's a bit disarming to see the name of Palestinian filmmaker Hany Abu-Assad pop up at the end of a glossy Hollywood melodrama like The Mountain Between Us. This is, after all, the director behind such raw, essential explorations of Palestinian life as Paradise Now (which followed the radicalization of two young suicide bombers) and Omar, both of which were nominated for Oscars for Best Foreign Language Film. His English-language debut is about as far from those films as it's possible to be, which is either a testament to his versatility as a director, or of Hollywood's ability to hamper a filmmaker's unique voice. The Mountain Between Us is not a bad film, but it's also a fairly predictable love story wrapped in a survival drama, in which two strangers find themselves stranded in the middle of the wilderness after their charter plane crashes in the mountains. Luckily for us those two strangers are Idris Elba and Kate Winslet, who together keep the film compulsively watchable. These are two actors who would be compelling, to employ the old cliche, reading the phonebook; but in this case that's not an exaggeration. Both actors do top-notch work here; Elba as a surgeon on his way to a critical operation, and Winslet as a journalist on the way to her wedding. Lost in the snow with food running out, the two must rely on each other in order to survive, and along the way begin to develop feelings for one another. 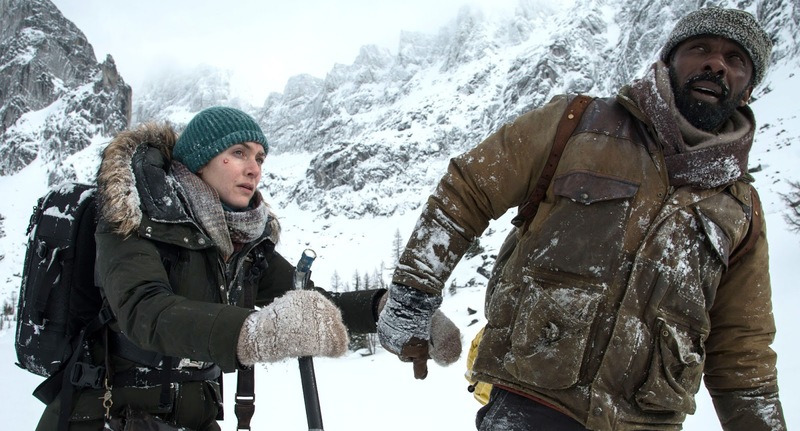 Kate Winslet and Idris Elba star in Hany Abu-Assad's THE MOUNTAIN BETWEEN US. Courtesy of 20th Century Fox. There's never much question about where this is heading, but Winslet and Elba are just so good that they make us forget that the film we are watching often borders on ridiculously over-the-top. One can actually find quite a bit to admire about The Mountain Between Us; Mandy Walker's cinematography captures the snow covered mountain vistas with a kind of lonely grandeur, and Ramin Djawadi's lovely score is one of his finest works for the big screen. It's all the more disappointing, then that the rest of the film is just so cold and anonymous, especially considering the immense talent assembled here. Assad just doesn't quite seem to know what to do with the central romance, and the film drags on a bit too long as a result. It's a crowd pleaser, to be sure, and it hits pretty much all of its expected notes with great gusto. Yet one can't help but feel that a lighter touch would have made the character drama at it's heart so much more compelling. Elba and Winslet are magnetic from the start, and do their best to elevate the otherwise tired material. Had the film focused even more on them and their budding relationship, and their own inner conflicts, this could have been a great film. Instead it's merely an average one with a pair of excellent performances keeping it afloat. 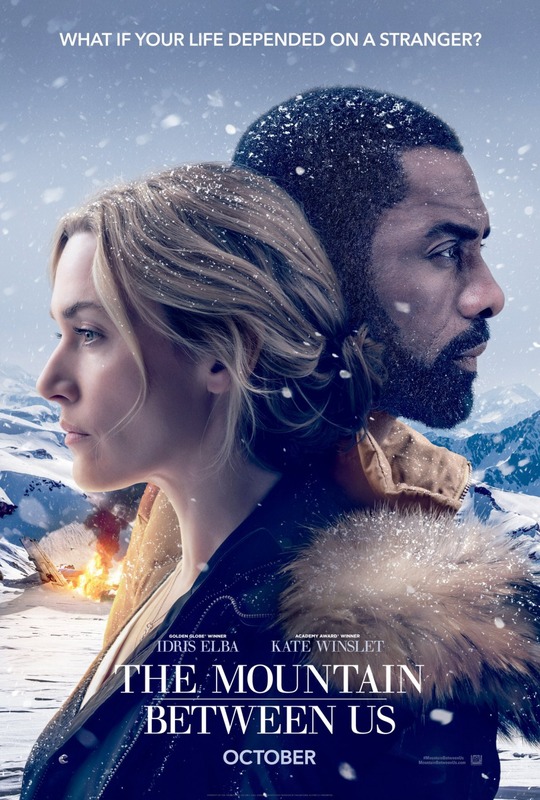 THE MOUNTAIN BETWEEN US | Directed by Hany Abu-Assad | Stars Idris Elba, Kate Winslet, Beau Bridges, Dermot Mulroney | Rated PG-13 for a scene of sexuality, peril, injury images, and brief strong language | Now playing in theaters everywhere.